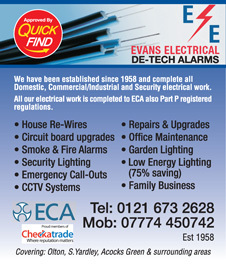 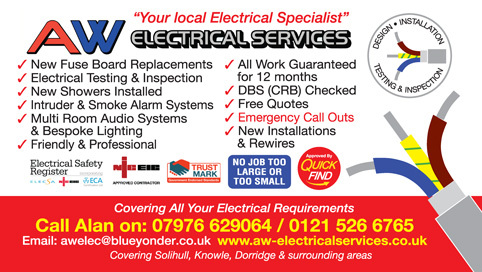 Approved and vetted by Quick Find Directories MWP Electrical are ELECSA registered local electrician in Tamworth, Lichfield and surrounding areas. 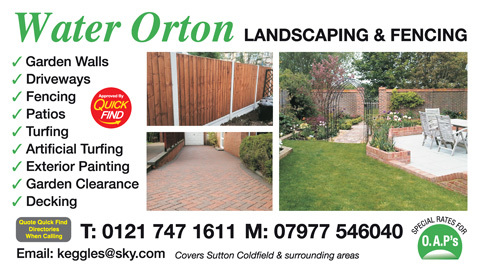 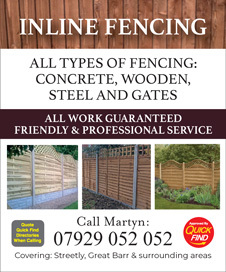 Vetted and approved by the team at Quick Find, Inline Fencing are a local reputable business offering fencing services in Sutton Coldfield and surrounding areas. 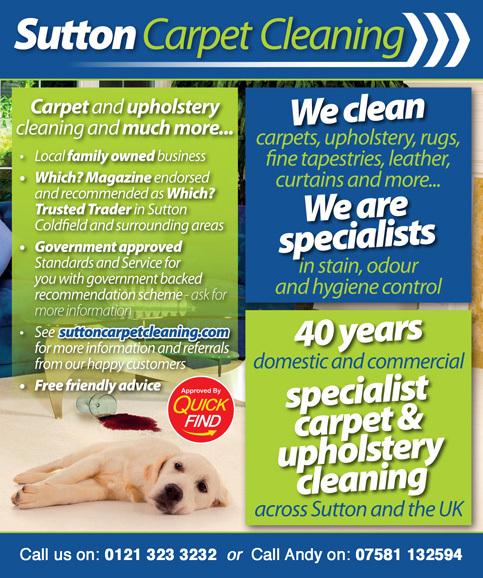 JP Techni Clean provide an expert, fully insured carpets and soft furnishing cleaning service across Tamworth, Lichfield and surrounding areas. 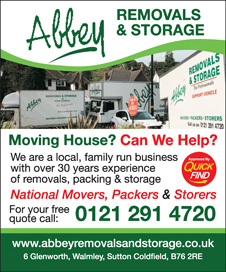 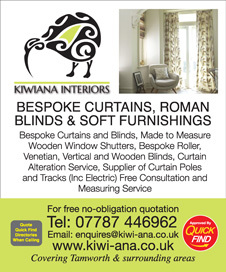 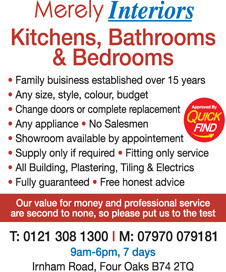 Recommended and vetted by Quick find Directories. 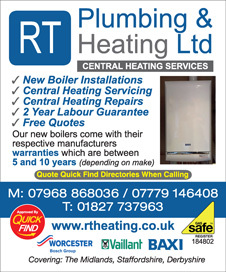 Approved and recommended by Quick Find Directories, Barratts Central Heating Plumbing are a local trusted trader in Tamworth, Birmingham and surrounding areas. 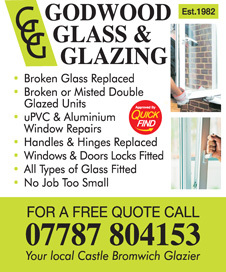 With over 27 years experience, Uniseal Limited offer a professional double glazing services across Tamworth, Lichfield and surrounding areas. 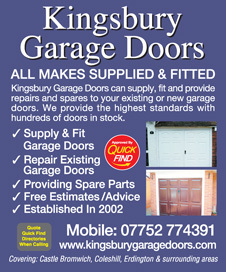 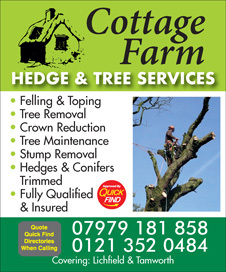 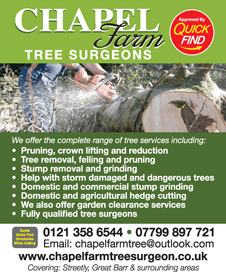 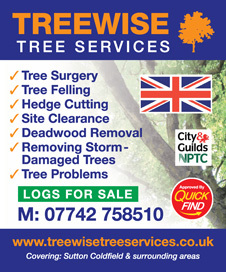 Vetted and recommended by Quick Find Directories. 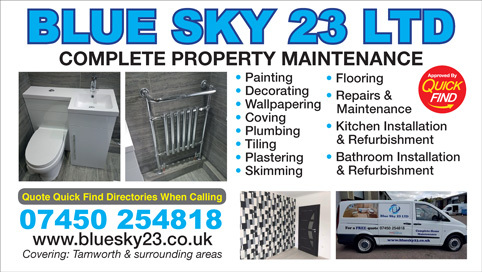 Approved and recommended by Quick Find Directories, Blue Sky 23 Ltd are a local trusted property maintenance company in Tamworth, Birmingham and surrounding areas. 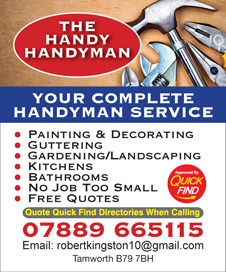 Approved and recommended by Quick Find Directories, The Handy Handyman a local trusted trader in Tamworth, Birmingham and surrounding areas. 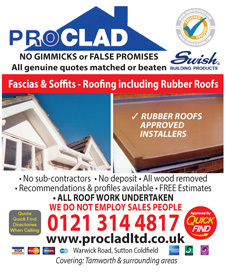 Approved and recommended by Quick Find Directories, Fradley Roofing Services. 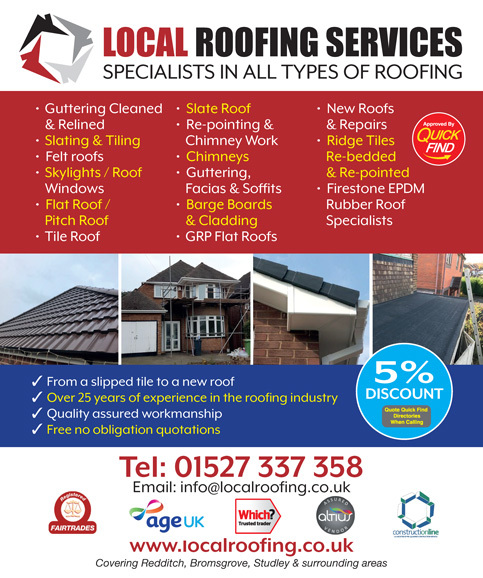 They provide an array of roofing services. 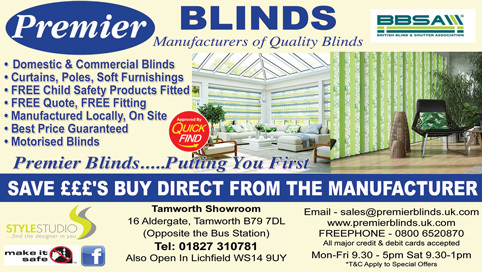 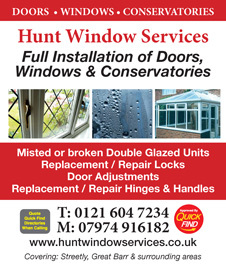 A local trusted window cleaner in Tamworth and surrounding areas. 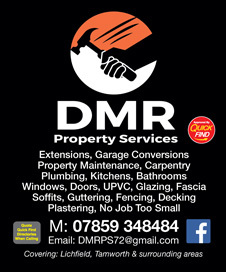 Recommended and vetted by Quick Find Directories DMR Property Services are a local trusted trader in Tamworth, Lichfield, Birmingham and surrounding areas. 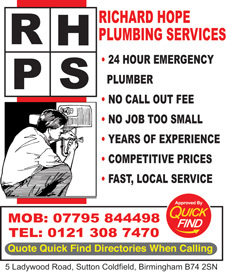 No job is too small for them. 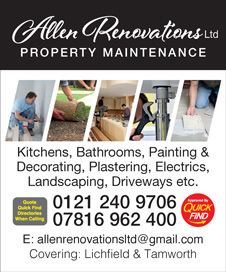 Approved and recommended by Quick Find Directories, Allen Renovations Property Maintenance a local trusted trader in Tamworth, Lichfield, Birmingham and surrounding areas. 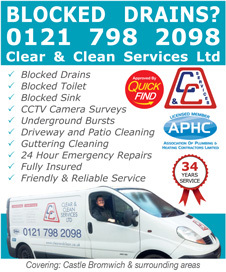 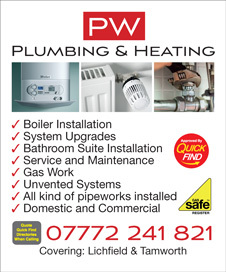 PW Plumbing & Heating are a local business covering Tamworth, Lichfield and surround areas. 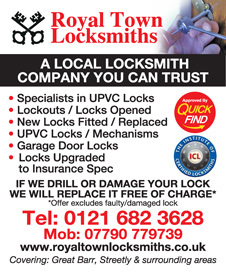 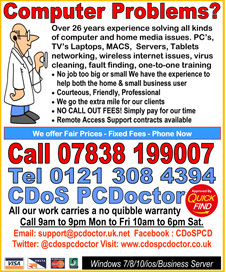 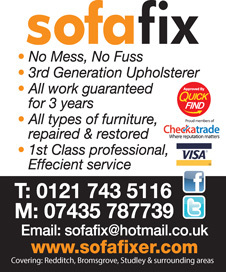 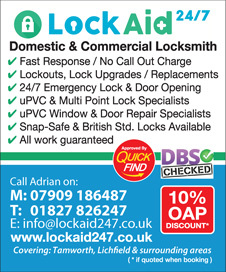 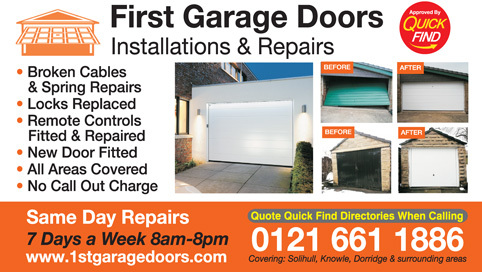 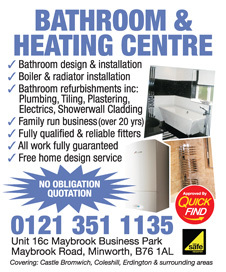 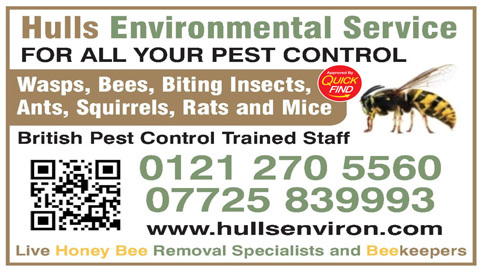 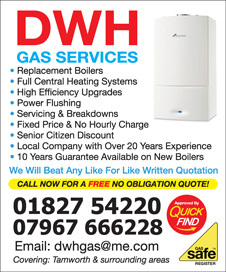 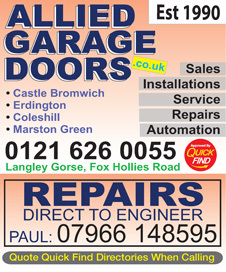 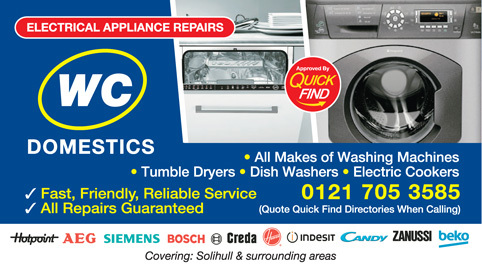 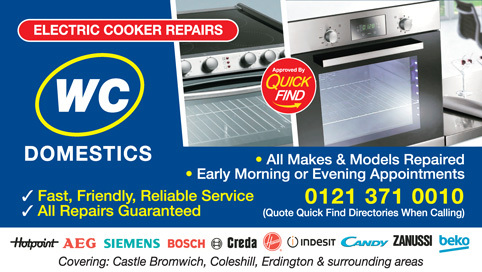 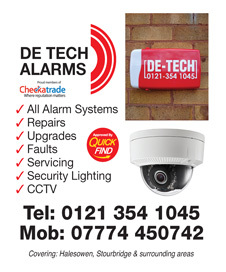 Vetted and approved by Quick Find Directories and Gas Safe registered. 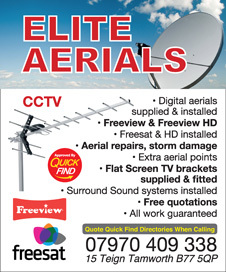 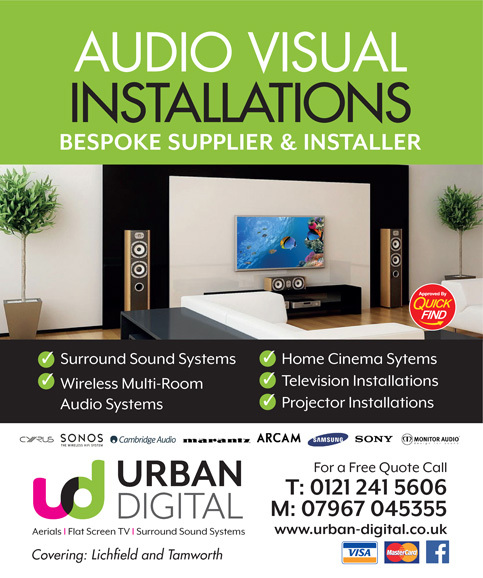 Elite Aerials, based in Tamworth are a Quick Find Directories approved and recommended local business providing aerial installation and repairs in Tamworth and Lichfield. 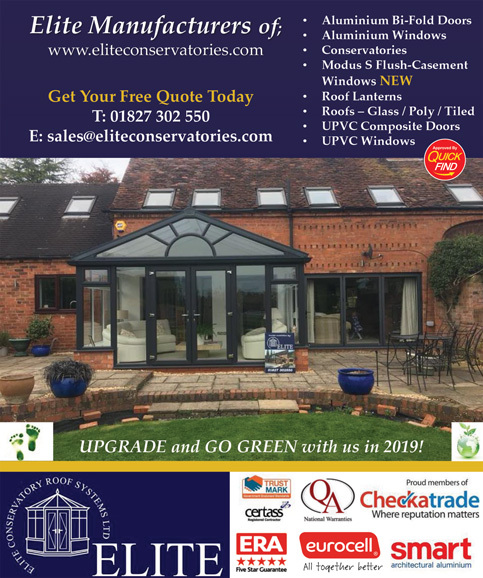 Approved and vetted by Quick Find Directories Elite Conservatory Roof Systems are a local trusted trader in Tamworth, Lichfield, Birmingham and surrounding areas. 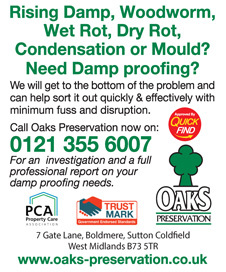 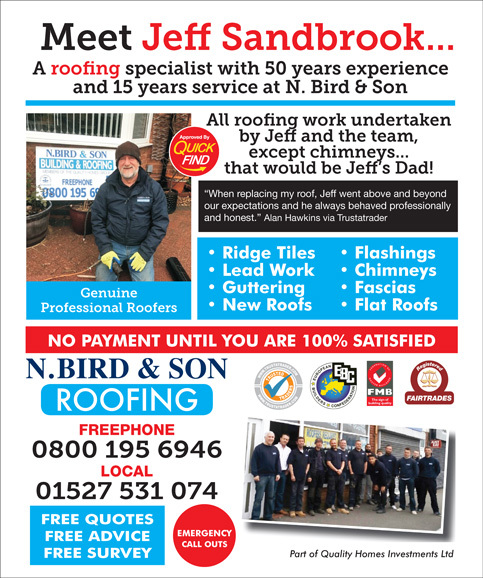 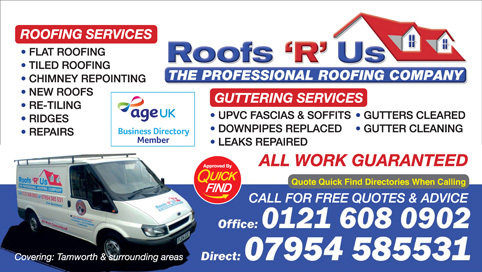 Approved and recommended by Quick Find Directories, Roof R Us a local trusted roofer in Birmingham, Castle Bromwich, Rubery, Tamworth, Olton and surrounding areas. 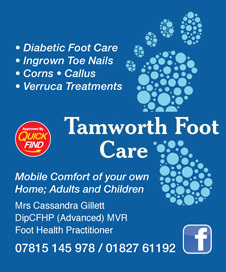 Approved and recommended by Quick Find Directories, Tamworth Foot Care are a local trusted trader in Tamworth, Lichfield and surrounding areas. 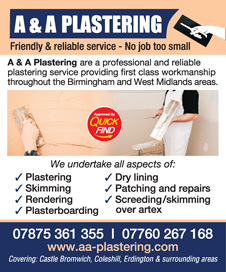 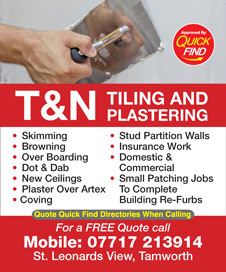 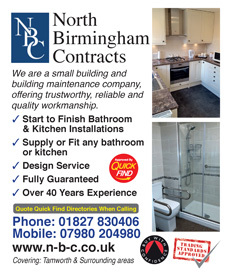 Approved and recommended by Quick Find Directories, T&N Tiling and plastering are full ensured and are a local and trusted trader in Tamworth and surrounding areas.